ePuffer is at it again! 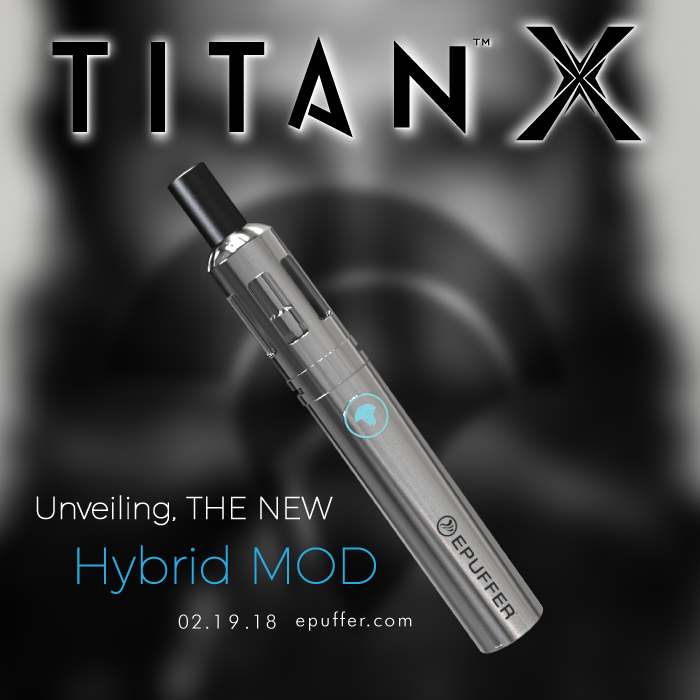 Following the success of the first revolutionary Titan model, we are proud to introduce our newest TITAN X 'hybrid' device, a cross between a box mod vaporizer and an electronic cigarette. This sleek stainless steel mod, that is small enough to fit in the palm of your hand, offers a substantial performance improvement over the last generation and new features like: battery capacity of 1500 mAh, the ergonomic power button and the intelligent color coded LED control. The device is made of the highest quality ( triple polished ) medical grade stainless steel. 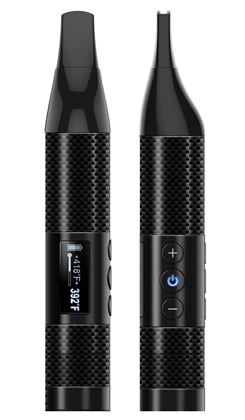 It offers a distinctly stylish and modern look, great performance and an ultimate vaping experience. ePuffer is known for its exceptional customer service and for placing its customers at the heart of everything it does. They are leading the revolution for a smoke-free world, and with each revision, they are showing their customers that their vaporizers are essential components to a healthier, happier future. The new Titan Hybrid Vaporizer is back and better than ever with an increased battery capacity of 1500 mAh up from 1100 mAh. 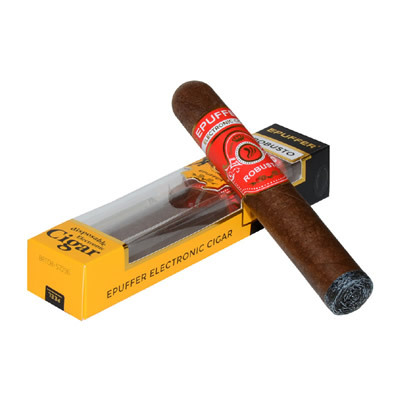 ePuffer products are known for their reliability and durability, and this device is no exception. Our customers don’t want to have to worry about constantly recharging or, worse, bringing a charger with them during the day in case their batteries die mid-way through the afternoon. Forget about those days! Our customers report that on average their batteries already last them a full two days, and now they last even longer. While this number might vary depending on personal habits, we can assure you that you will not have to constantly worry about running out right when you need a puff. The new model now includes a 0.4Ω atomizer coil rather than a 0.5Ω atomizer coil. The starter kit still comes with a 1.0Ω atomizer coil as before, but the new generation of coils has been redesigned for even better vaping experience. Sub-ohm vaping is popular among millennials and younger vapers because the vapor will reach higher temperatures and produce large clouds. Young vapers today enjoy collecting the latest gadgets and puffing larger clouds than the guy or girl next to them, but the Titan X is a high-quality device meant for the stealth-smoker or the professional who wants a simple device to slip easily into a pocket. Small enough to fit into the palm of your hand, the Titan X is portable and convenient. You might not even notice it’s there, but don’t let the size fool you! The lower 0.4Ω atomizer coil along with the stronger battery ensure good vapor production and intense flavor. Is the Titan for me? If you are new to the vaping world and you aren’t ready to move up to vape mods yet, consider trying the Titan Hybrid Vaporizer. Its automatic power control makes the whole process simple so that all you have to worry about is enjoying it. There are no power controls to manipulate, but it still has the design and power of a more advanced device. 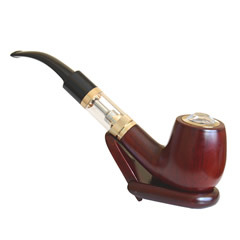 If you want to quit smoking but keep your habits personal and inconspicuous, this is exactly the device for you! Come and try it out today! 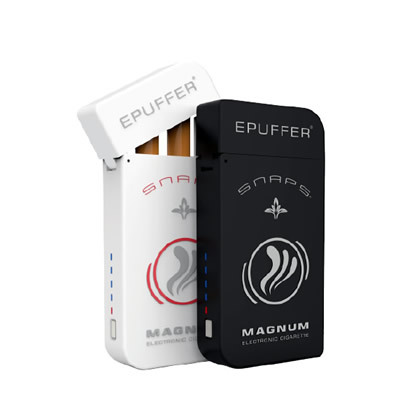 About ePuffer Inc. ePuffer is one of the leading brands of electronic cigarette, vaporizers and eliquid products worldwide. With more than one million customers around the globe, ePuffer is revolutionizing the way the world things about vaping and its possibilities for a healthier, happier future. The new Titan X is available for sale now! Limited batch, hurry to get yours now. I am also waiting for the new model. Come on! I have been patiently waiting for this new model. What is taking so long? Are you sold out? Will buy one as well. Looks really good and hope it works well too. Nice work! Will be ordering one for sure.